One of the greatest goalies in NHL history, Patrick Roy is an undisputed legend. On the ice and in the hobby, he remains one of hockey's most popular players. 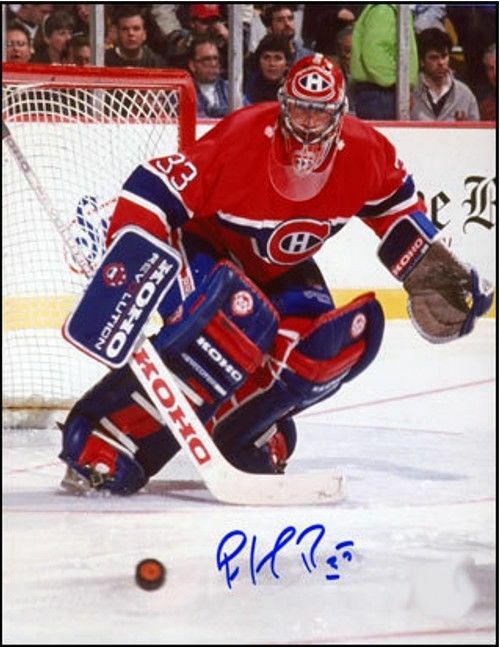 Even in retirement, Patrick Roy cards not only continue to make regular appearances in new sets, but they're often a focal point for collectors. 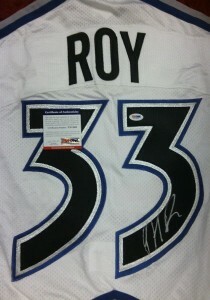 Shop for Patrick Roy cards on eBay. Winner of four Stanley Cups, Patrick Roy also won the Vezina Trophy as the NHL's top goaltender three times. He ranks among the all-time leaders in several key categories, although his standings at the very top have taken a bit of a hit thanks to Martin Brodeur. That hasn't hindered Roy's iconic status among hockey fans, particularly in Montreal. 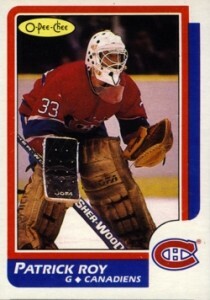 Patrick Roy cards are still some of the most popular in the hobby, especially amongst his fellow goalies. He has just two official rookie cards, although there are a couple of other oddball items that can be found at reasonable prices. Roy is one of those players that moves no matter the card. He has plenty of high-end autographs and memorabilia cards and continues to sign regularly for Panini, Upper Deck and Panini. Because he's a legend, Patrick Roy cards are a fairly safe and stable bet. At this point, collectors shouldn't expect a huge swing in prices as his status is pretty much set. Although he has returned to the NHL as a head coach, that will not likely have much of an impact on his card values. 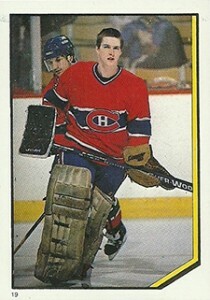 The 1986-87 O-Pee-Chee Patrick Roy rookie card should be the cornerstone to any Roy collection. The design might not be the most exciting, but it's gained iconic status thanks to the man in the white mask on the front. 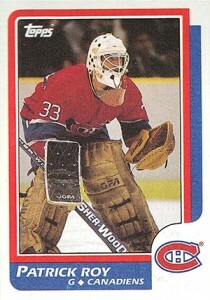 Nearly identical to the O-Pee-Chee version, the 1986-87 Patrick Roy rookie card is much more affordable. The key differences are the Topps logo on the front and the lack of bilingual text on the back. 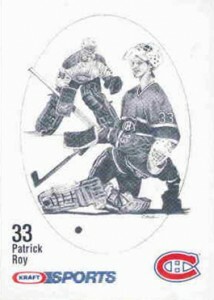 Although not considered a true rookie card, the 1986-87 Kraft Drawings Patrick Roy is a nice oddball piece that can still be found somewhat easily. Inserted in Kraft products, it has a black and white charcoal sketch on the front with a generic back promoting a mail-in offer. The card originally came packaged in cellophane, although most have been taken out. Another oddball item released around the same time as his rookie cards, the 1986-87 O-Pee-Chee Stickers Patrick Roy is notable for actually getting a photograph of his face. Smaller than a traditional card, it has no name on the front. He is also on a couple of other stickers in the set, but #19 is the most popular among collectors. Roy is also on the front of the sticker album. 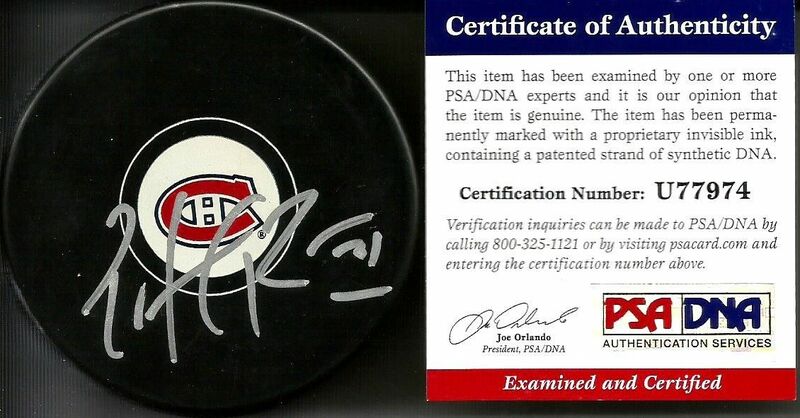 Below you will find an example of what Patrick Roy's authentic signature looks like. This can be used as a first point of reference for determining the legitimacy of autograph memorabilia, but is not a substitute for having your items authenticated by a well-respected professional autograph authentication company. Some of the trusted sources within the sports memorabilia market include the following companies: PSA, JSA, Steiner and Mounted Memories. The entire signature consists of four characters that lean back to the left. The letter "P" is very unique and looks like an un-dotted "?" on a 70 degree angle resting atop a letter "t" or "+" sign. The next character looks like an awkward letter capital "H" or a vertical line with a small curve attached by a cursive letter "l" also on a 70 degree angle. The next letter is a legible "R" with an open loop. The signature is often inscribed with the #27 lined on top and bottom. yo dont have the 12-13 limited panini card?